Benjamin Dart is a recent Arts University Bournemouth graduate from the BA (Hons) Architecture course. The Secret Garden party pavilion was a commission by the festival to create a unique seating pavilion for there festival environment. The pavilion was an exploration of temporary architecture. Its formed from four separated slated timber cubes. 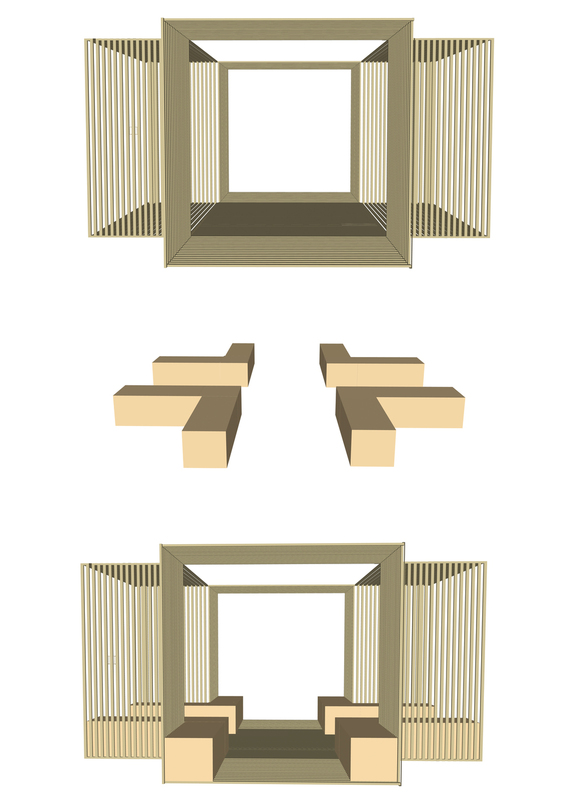 The four cubes are constructed from 1 kilometer of timber which has been slated together along the corners connected with a thread rods. The concept was taken from a garden sundial ever changing throughout the day, the pavilion was an exploration of a changing environment. 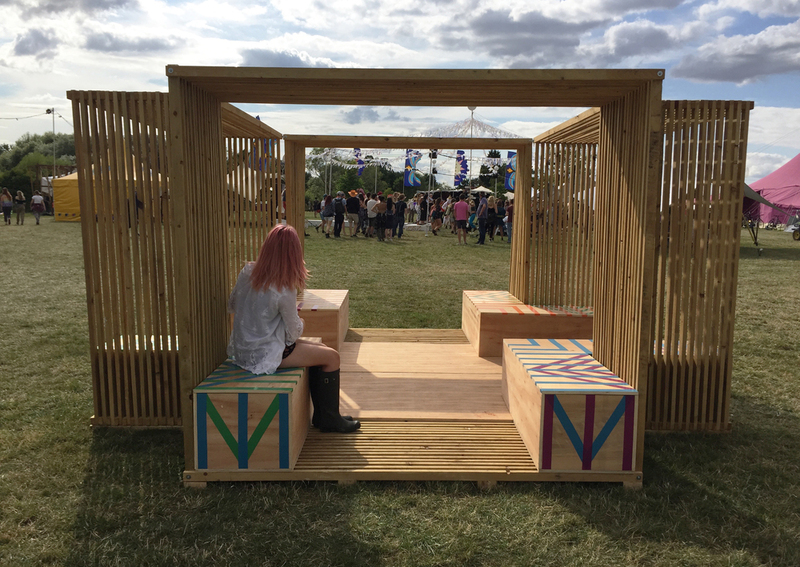 The shadows cast through the slated timber are ever changing and moving throughout the day, creating a different experience for the festival goer each time they visited the pavilion. Make sure to visit www.shapedonallsixsides.com. Shaped on all six sides is a multidisciplinary design studio, which formed during BA (Hons) Architecture study at The Arts University Bournemouth.